Ok folks, I’ve personally never seen this series, but I’ve heard tons of good things and I look forward to catching up on it. Here is some great news for all the ‘Downton Abbey’ fans. There will be a 4th season of ‘Downton Abbey’ according to series creator Julian Fellowes. Executive producer Gareth Neame said about the next season, “Viewers can look forward to more drama, comedy, love, hatred, jealousy, rivalry, ambition, despair and romance.” Neame also stated that some old and new characters will be showing up in the 4th season as well and that there will be eight new episodes plus the Christmas special, which will start in February of next year. 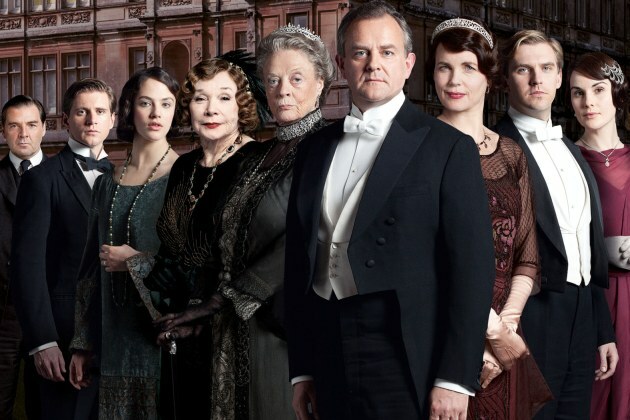 This is great news for you ‘Downton Abbey’ fans. Hope you enjoy it. HBO Renews ‘Game of Thrones’ for a Fourth Season!!! This entry was posted on Monday, November 26th, 2012 at 12:41 am	and is filed under News, Television. You can follow any responses to this entry through the RSS 2.0 feed. You can skip to the end and leave a response. Pinging is currently not allowed. Ma, what would you have done if Daddy was married when you first met him? I wouldn't have fallen in love. Well, you can't control who you fall in love with. Listen. Listen, take your father here. What's his favorite food? What did Dr. Slocum tell him? So, now he doesn't eat cheesecake. It's the same exact thing.